moreNiklas Oppenrieder is a physician specializing in pediatrics at Aschaffenburg Hospital in Germany. As PAN’s Medical Director, he heads the development of the organization, applying his medical and scientific expertise as a pediatrician as well as his first-hand technical knowledge as a member of several different medical associations. moreMark Hofmann studied Business Administration in Munich, Germany, specializing in Project Consultancy and International Management. As PAN’s Executive Director, he brings extensive professional experience and is responsible for the entire company’s business management. moreLinda Weißer is a medical doctor, who is also working as a food and nutrition blogger. 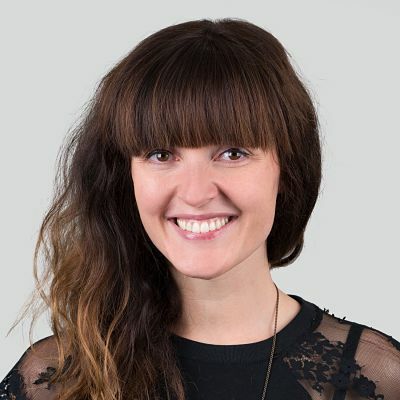 With her additional bachelor’s degree in philosophy and her experience in medical and nutritional writing, she has taken on the role of PAN’s Research Director, responsible for i.a. PAN’s medical content. moreCarolin Wiedmann is a pediatrician specializing in allergology at the University Hospital Munich, Germany. With her expertise in nutrition during pregnancy and childhood, she has been supporting PAN from the very beginning and continues to do so in her position as PAN’s chairwoman. moreAs a charitable organization, PAN relies greatly on all of the hard work from people all across the globe who are dedicated to our mission and motivated to put it into action. We cherish and value every one of our volunteers. We are thankful for all of their efforts, and we think of them as members of the PAN team. PAN’s partnership ecosystem consists of dedicated organizations that share the same values as we do. They have been carefully chosen in order to foster our common idea that nutrition is key for a healthy life. PAN collaborates with the Department for Clinical Naturopathy at the Charité University in Berlin, working closely with Prof. Michalsen and Dr. Kessler as well as other members of the department. Together we will focus on driving clinical research about the use of nutrition in medicine. 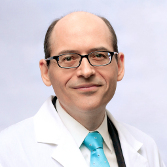 Michael Greger, M.D., F.A.C.L.M., is a physician, New York Times bestselling author, and internationally recognized professional speaker on a number of important public health issues. Dr. Greger's nutrition work can be found at NutritionFacts.org. Greger has lectured at the Conference on World Affairs, the National Institutes of Health, and the International Bird Flu Summit, as well as numerous symposia and institutions. He has testified before Congress, has appeared on shows such as The Colbert Report and The Dr. Oz Show, and was invited as an expert witness in defense of Oprah Winfrey at the infamous ‘meat defamation’ trial. Greger's recent scientific publications in the American Journal of Preventive Medicine, Critical Reviews in Microbiology, Family and Community Health, and the International Journal of Food Safety, Nutrition, and Public Health explore the public health implications of industrialized animal agriculture. Greger is also licensed as a general practitioner, specializing in clinical nutrition, and is a founding member and fellow of the American College of Lifestyle Medicine. He was featured on the Healthy Living Channel promoting his latest nutrition DVDs and was honored to teach part of Dr. T. Colin Campbell's esteemed nutrition course at Cornell University. He is also the author of Bird Flu: A Virus of Our Own Hatching and Carbophobia: The Scary Truth Behind America's Low Carb Craze. His latest book, How Not to Die,became an instant New York Times bestseller. Greger is a graduate of the Cornell University School of Agriculture and the Tufts University School of Medicine. Greger's work on nutrition can be found at www.nutritionfacts.org, which is a registered 501(c)3 nonprofit charity. Prof. Dr. Claus Leitzmann studied chemistry, microbiology and biochemistry in the United States. He worked as research associate for the later Nobel Prize winner Paul Boyer at UCLA and did research and teaching at universities in Bangkok and Chiang Mai, Thailand. In his role as a professor of nutritional science at the University of Gießen, Germany, member and/or founder of several scientific organizations, and author of more than 30 books on different aspects of nutrition, he is a true pioneer of whole food diets, plant-based diets, nutrition ecology and international nutrition. Allan Kornberg, M.D., is a pediatrician who has practiced both primary care and emergency pediatrics. Dr. Kornberg served as Vice-Chair and Associate Professor of Pediatrics, Associate Professor of Emergency Medicine at the University of Buffalo, and Associate Professor of Pediatrics at Brown University. 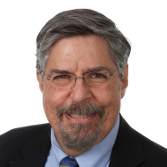 He has served as medical director with managed care organizations and provider institutions, as well as government and advocacy groups, typically working with complicated populations, both clinically and socioeconomically. Kornberg received his B.S. in Biology from MIT, his M.D. from Mount Sinai School of Medicine, and his M.B.A. from the University of Rochester. 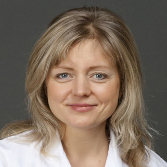 Tanja Kalchenko, M.D., is a Senior Radiologist at the Oncological and Abdominal Radiology Unit at the Oslo University Hospital, the largest university hospital in Norway. In 2013, Kalchenko founded HePla (www.hepla.no) and has since worked as the organization’s President. HePla educates the Norwegian public and health professionals regarding the benefits of a plant-based diet through its website, social media channels, regular lectures, and other events. Christian Kessler, M.D., works as a Senior Physician, Research Coordinator, and Project Manager at University Hospital Charité in Berlin, Germany. Dr. Kessler conducts research at the Immanuel Clinic in Berlin within the Endowment Professorship for Clinical Naturopathy at the Institute for Social Medicine, Epidemiology and Health Economics. He is an expert in Traditional Indian Medicine and Ayurveda, as well as a trained Indologist (M.A.). 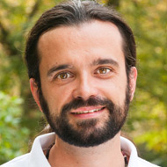 As one of the founders and coordinators of VegMed – Europe’s largest scientific congress on plant-based nutrition – he is passionate about making nutrition an important part of modern medicine. 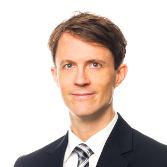 David Stenholtz, M.D., is a Senior Oncologist at the Södersjukhuset hospital in Stockholm, Sweden. In 2013 he founded the organization Läkare för framtiden (‘Physicians for the Future’) and has since been serving as its chair. The organization disseminates information on the health benefits of plant-based diets to the Swedish public, as well as to politicians and healthcare professionals. 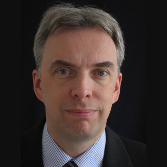 Hans van Groenewoud has over 25 years’ experience as an occupational health physician. He has advised numerous companies and has worked in diverse organizational cultures. While practicing medicine, he became interested in the important role that nutrition plays in becoming and staying healthy. He is currently based in Luxembourg.